At Just Temptations, Brampton’s leading boutique- style cake and pastry shop, our passion is to make your special occasions extra special. Our love and dedication towards cake baking is the recipe for our delicious and designer cakes. 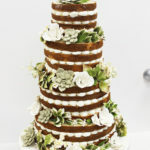 For a real slice of heaven, taste our delightful range of wedding cakes in Brampton. Cheese Cakes, Butter Cream Cakes, Rich Chocolate, Raspberry Truffle, Orange and Lemon Mousse, Yummy Vanilla, and many other fascinating flavors aim to tempt your taste buds. Cakes for All Occasions that Make You Say WOW! We bake cakes for birthday celebrations to grand wedding ceremonies. Our awesome collection includes simple to elegant birthday cakes, baptism cakes, bridal shower cakes, sweet tables, chocolate fountains, cupcakes, pastries, anniversary cakes, communion cakes, fairy castles, themed cakes, and many others. From tiny polka dots to hand-painted decoration, every masterpiece baked at Just Temptations is a tribute to our years old famous craftsmanship. All categories of party designs,decorations and tastes are catered here. 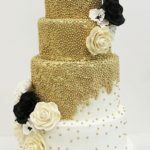 Premium Designer Cake Shop in Brampton! We aim to make your vision turn into a memorable reality that tastes as great as it looks! We take a bowl of big ideas, blend a spurt of quality, a healthy chunk of imagination, and a pack of incomparable fresh ingredients, to bring your dream cake into life. We just don’t bake cakes, we create them. Our heart and dedication is poured into the bake process. 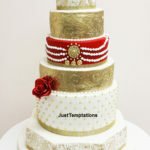 Our mission here at Just Temptations, is to create a delicate moment for our customers through our unparalleled customer service and custom cake designs. Our master pastry chefs have years of worthy experience that helped in the incredible success of our bakery and dessert shop. Everything is baked by using fresh and high quality natural ingredients such as butter, real cream and imported chocolate. Our experienced bakery chef team masterfully blends flavors to create unique tastes and textures that don’t need any tag to define the ingredients involved in the baking process. The cake speaks up itself about its composition, quality and freshness. 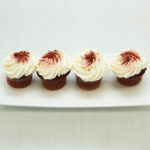 We have been baking, frosting and decorating our scrumptious desserts from past many years. We are proud to serve you and works well hard to earn your satisfaction. Cheers to the sweets!